If you’re looking for seclusion in an idyllic setting on the beautiful island of Koh Samui then look no further than the stunning Villa Hin. This beautiful luxury villa is attached to the rock face and surrounded by beautiful plants and trees, making an ideal setting for your proposal. This stunning Villa sleeps 10 guests, so if you don’t want to arouse suspicion then head out with some friends and then when the special moment arises pop the question on the pretty secluded terrace (in the picture above). Afterwards sit back, relax and enjoy the spectacular views of Coral Bay before heading to the drinks bar in the Villa to share the news and celebrate in style with your closest friends. 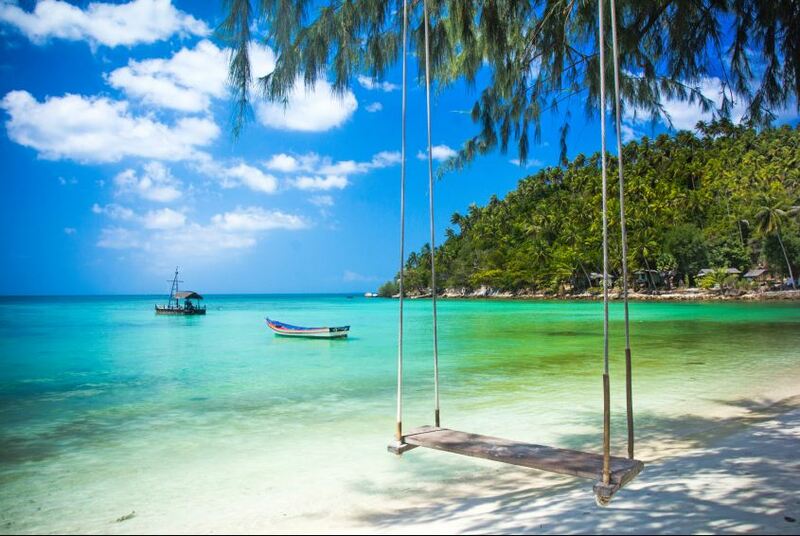 Alternatively if you have always imagined proposing to the love of your life on a white sandy beach with waves lapping at your feet as the sun goes down, then head to the stunning Chaweng beach, which is conveniently only 5 minutes from Villa Hin. Head to the southern end where this mega beach turns into a romantic setting in the evening, with candles and lanterns lightning the evening skies. Or alternatively head to the smaller Lamai Beach, the more secluded Bophut, the Big Buddha Beach, famous for the the incredibly large Buddha statue, or the exclusive Choeng Mon Beach with its small scenic coves. Our Directors, Andy and Fran, are first hand proof that this restaurant works as a perfect proposal spot. On July 14th 2006 before their meal, Andy took Fran down to the sea on the rocks in front of the restaurant, told her to look up at the stars and then dropped to his knee and whipped out the ring. Fran of course obliged and the rest is history! After hearing of our own in-house love story, how can you not want to propose at The Cliff Bar and Grill?! Located on the south-east coast of Koh Samui between Chaweng Noi and Lamai, just a few minutes from the beautiful shores of Silver Beach. What could possibly go wrong when proposing here with these sensational sea views and superb cuisine, where you can enjoy exquisite fresh fish caught only hours ago? To top it all off the staff who will go above and beyond to make your evening and proposal the fairy tale one you have always imagined. 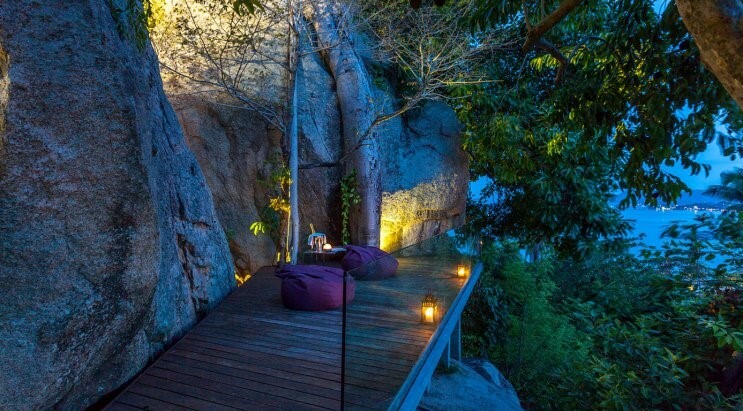 The Cliff Bay and Grill Restaurant is a perfect place in Koh Samui to propose. 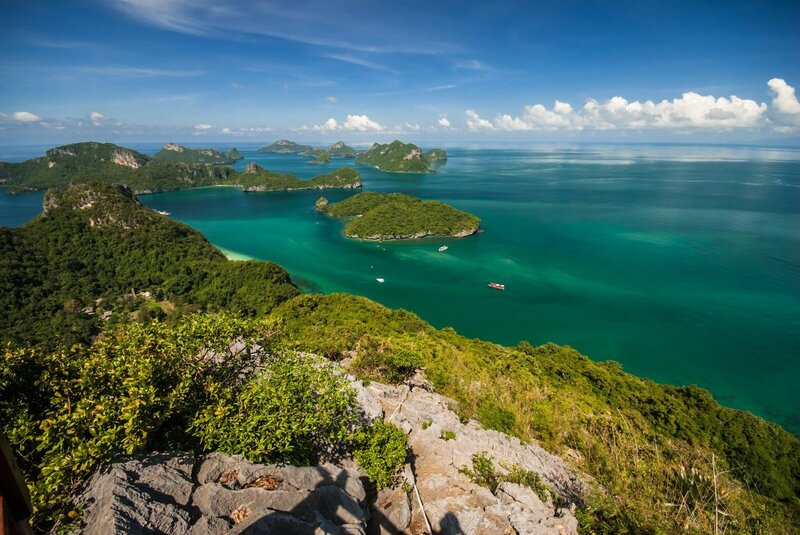 Alternatively hire a luxury boat for a day with your very own captain to whisk you over to the sensational Angthong National Marine Park. Whether you choose to propose under water whilst snorkelling in the beautiful clear waters, or whilst bringing your inner 007 out when kayaking around the famous James Bond Island. 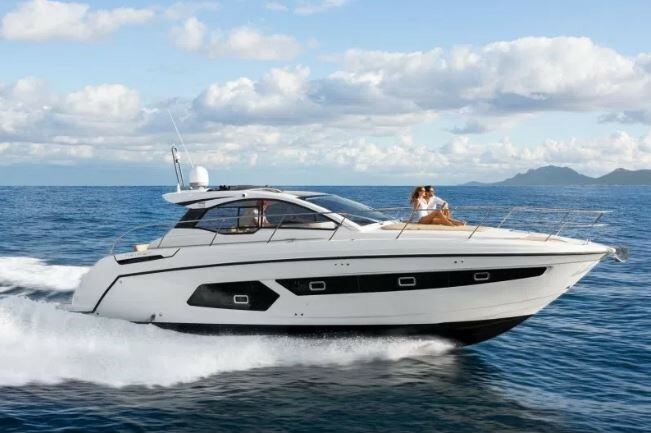 Or perhaps when taking in the breathtaking views of Koh Thailing Nai and the Emerald Lake, or just simply relaxing on your luxury yacht passing through the sensational limestone islands You know this will be your special day to remember. Fancy doing something a bit different? Are you one for heights and adding to the adrenaline rush by soaring through the jungle on a zipline? If so, then a tree top rainforest tour is perfect for you. Enjoy some special time together where you will be immersed in the rainforest, sliding 850 metres through the tree tops, stopping at 8 stations as you go. With the thrill of the zip line egging you on. you know by the 7th station the adrenaline will kick in for your magical proposal, just before you take your final zipline both grinning from ear to ear for that perfect snapshot. 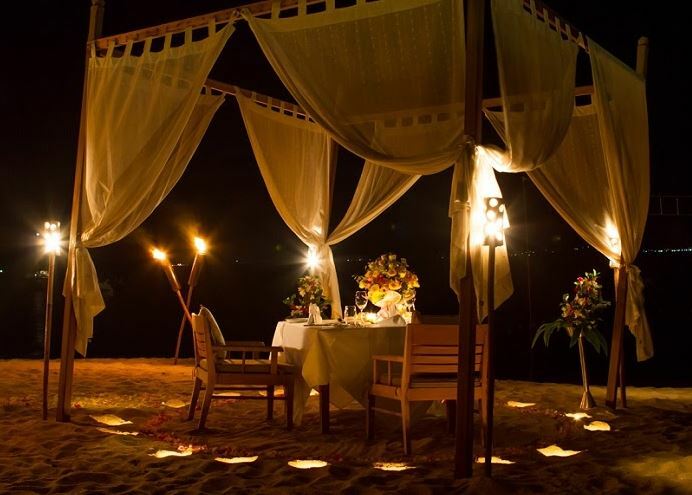 Let’s hope one of these top 5 ways to propose in Koh Samui have given you the courage to buy the ring, book the flights and put you one step closer to the ultimate YES! For the icing on the cake and that perfect finishing touch please give one of the friendly Villas In Luxury team a call on +44 01202 203656 or drop us an email, so one of the team can find you your ultimate luxury villa and join in with the ever growing excitement of your secret plan. We would love to set you on your way to a lifetime of happiness, with a story you never want to forget.